Magic sure has some strange collectible items. You know all those tokens you get from drafting? Yeah, the ones that you throw away? It wasn’t always like that. Tokens used to be few and far between in the earlier days of Magic. They only used to be given out as promotional items or at other rare events. The older tokens are still around and have turned into collectors items. I still remember the time when I thought “Tokens? Who needs these, dice can just represent everything…” My, have the times have changed. Since Magic has increased so much in popularity over time, the prevalence of tokens has also increased since having the physical representation added another layer of depth to the game. We like to see tokens being used on camera matches, for example, because it is much easier to distinguish them between all the other types of counters that are used on other permanents. Due to the prevalent use of tokens, players are more inclined to pick them up for decks they use to better represent game states (especially since Wizards seems like to creating new types of counters, it only makes the use of tokens more important in games). Since I’ve recently had a fascination with discovering these types of rarer tokens, today I would like to share with you some of my findings. I couldn’t find an official answer, but I can make an educated guess based on how cards are produced in general. Cards are printed in big sheets and then cut out and randomized. These sheets are grouped by rarity. You print sheets based on the desired ratio of rarities in the final product, e.g. 1 rare sheet per 10 common sheets if the two sheets are of equal size. Sometimes, more than one copy of a cards is on each sheet. 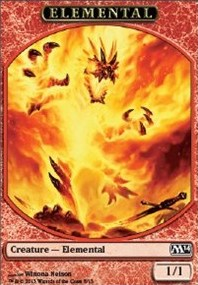 For instance, early sets, particularly the small sets which tried to simulate three rarity levels with only two print sheets, had multiple copies of some cards — this is why Camel is listed as “Common 5” in some collector guides, or why Knights of Thorn is an “Uncommon 1” (functionally a rare for The Dark). For a more modern example, consider mythic rares: mythics don’t get their own sheet; instead the rares sheet has two copies of every vanilla rare and one of each mythic. This is undoubtably how the ads and tokens sheet is arranged as well: all of the ad and token cards are printed on one sheet, but there are multiple copies of the “common” tokens and few copies of the “rare” ones. For example, a whole sheet of around a hundred M13 ads and tokens might contain twenty goblins and only one Liliana emblem. The exact mix of cards is likely to vary from set to set, but you can get a good idea of the rarity of “rare” tokens if you know the overall sheet size. The theory made a lot of sense to me. This would explain why its good to sock away all those Monastery Mentor tokens – they’re basically Young Pyromancer tokens yet even rarer since Mentor is a mythic and people will need lots of the tokens for decks that play him. 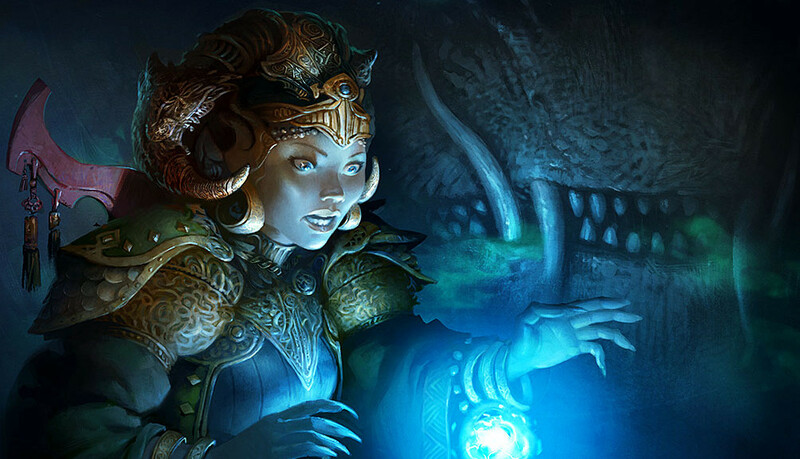 Mentor tokens are close to $0.80 retail per token, which should come down once more Fate Reforged is released, but if Mentor becomes a powerhouse over the next Standard cycle you can bet that tokens will be in high demand. Look at how much Hornet Queen tokens go for right now – close to $2.50 per token!! That’s a lot for a card that isn’t even a card. Alright, let’s break down some of the more expensive tokens and see why they’re so high. Alright, so the first thing that popped out to me is that the token is from Theros, a current Standard set. I was not expecting the most valuable token on TCGPlayer to be this card. In truth, it isn’t – the Marit Lage token is worth more and I will get to that later. 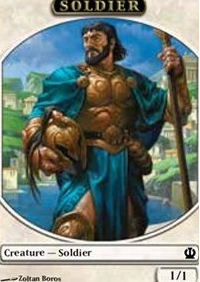 But still, a Theros token is worth $15? Why?! Some of the comments on TCGPlayer help to explain the price. According to commentators, the price is set so high because they were promos given out to players who participated in something called “Gateway to Core” events right after Theros was released. Apparently, the events weren’t very popular, because even though every person that participated in them got a promo they are still really expensive for a token card. The takeaway here is that if you want the pimped soldier token out there, this token would be it. The reason that this token is so rare is because it was the Release Event Card (card being used very loosely here) at Coldsnap release events hosted at local game stores. Anybody ever been to one of those? I think not. 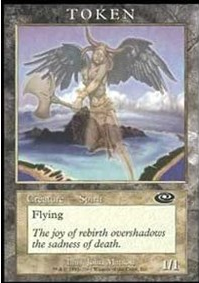 For the Legacy players amongst us, the Lands deck uses Dark Depths as the win condition. The token goes along with this land. What may not be obvious in the picture is that the token is foil – that’s right folks, the Marit Lage tokens are pretty much the only “easily” obtainable foil tokens around! Which is another reason why it is so collectable. So we have aesthetics and utility combined in this token to give it the current price. As the most usable pimp token, I don’t see Wizards ever releasing this token in the same fashion ever again. Is $18 too high for a token? Yes. However, for a collectable item such as this, that $18 could easily double or more a few years down the road. Thanks Thespian’s Stage! Not that any of these cards are going to spike any time soon, since Squirrels is one of the most casual of casual tribes, however it looks like Earthcraft has been steadily increasing in price over the last two years. It wouldn’t surprise me if a rare card from one of these older sets like Squirrel Wrangler or Nut Collector also starts steadily going up. 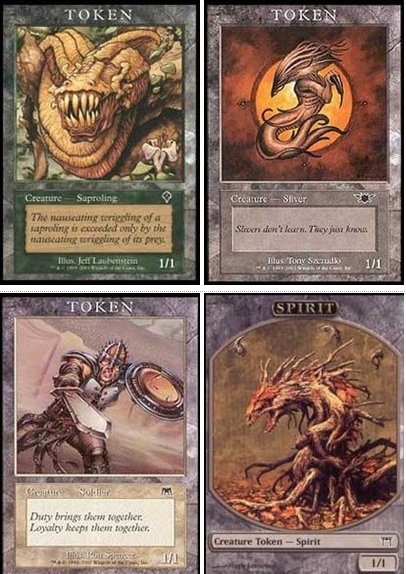 Lastly, I believe the token’s artwork and layout make it unique among existing tokens since Wizards took the token art direction in another way since the beginning days of token design. There are plenty of cards that make 1/1 White Flying tokens, with the most notable being Lingering Souls and Spectral Procession. 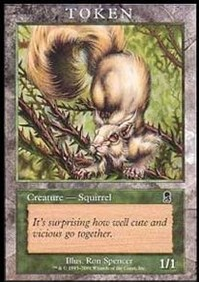 Similar to the Squirrel token, I believe the reason this token is so high is due to the rarity of player rewards tokens. 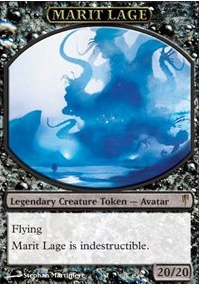 The artwork on this token is also very unique amongst spirit tokens, another reason to value it higher than spirit tokens from other sets that are 1/1 white flyers. 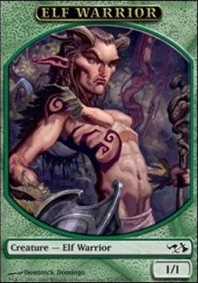 OK, there is no good reason why this Elf Warrior token is so high. The Lorwyn version, featuring the exact same art (with the only difference being the set symbol) is only $0.36. Clearly the price is artificially inflated due to the low print run of the duel decks. Strangely, this Young Pyromancer token was also printed in M14 along with another type of token that is only worth a fraction of the price. Only two sellers have it listed, so the price is either inflated due to this or the token is actually worth that much because players buy it out when it goes lower than $2.40. It is a pretty cool looking token, I’ll give you that. Just not sure if it is $2.40 worth it unless you really need to see this artwork with your Young Pyromancers. I would say all the above tokens are collectors items, with the most notable being the Sliver token and colorless Spirit with no abilities (which is produced from Forbidden Orchard). The Sliver tokens have seen a resurgence in popularity due to Sliver Hive, but also the longstanding popularity of Sliver Queen and her token making ability can’t be understated. All four of these tokens have the unique players rewards artwork and should be watched for future growth as time moves on. All the tokens are produced by cards that are used in casual, commander, or competitive formats and will be collector’s items since they are hardly ever seen. I hope you’ve enjoyed my brief foray into expensive tokens. Surprisingly, there were both current and older tokens on the list. I wanted to highlight that the next time you’re thinking about throwing away that Wingmate Roc token you just opened or an emblem that you know will never go off (at least not competitively) that there is someone out there who is willing to pay at least a few cents for it – and if it’s popular enough significantly more than that. The Elemental token for Voice of Resurgence is worth something too. The “Gateway to Core” events are limited to stores who just started out with the Wizards Play Network (WPN). When a store first starts, they are at “Gateway” level in the WPN. These special kits (with alt art promo tokens) are designed to give the stores something extra to give away and attract new players. Once they reach “Gateway” level, they can no longer get the kits. If a store is doing what it should be, they would only ever get one, maybe two of these kits. That makes the Gateway to Core promo cards extremely rare indeed. At a recent SCG event the Voice of Resurgence Elemental token was being sold for $6. I don’t know if pod’s banning will decrease the price but I think you missed not including this one like the earlier poster. Try looking up the price of a Squid token (league promo) from M15. I’ve been hunting high and low for one. They are extremely hard to find. Also, don’t sleep on the 2/2 blue Drake token from M13. It’s the only Drake token available, and needed by Talrand players everywhere. Sure, it’s only 20 cents now, but it’s hard to find in larger amounts as you need 5-10 of them if you play Talrand. Voice of Resurgence tokens are also worth snapping up whenever you find them..already valuable.